Sidney Blumenthal, a close adviser to Bill and Hillary Clinton, has reportedly undertaken an email campaign to defend a controversial book written by his son that compares Israel to Nazi Germany. The book, written by Max Blumenthal, accuses Israel of being a fascist country and has chapter titles explicitly comparing the Jewish State to Nazi Germany, such as "The Concentration Camp" and "The Night of Broken Glass." According to the Nation columnist Eric Alterman, who harshly reviewed the book, long-time Clinton confidant Sidney Blumenthal has sent "nasty emails" to "our mutual friends and professional acquaintances" attacking him for "telling the truth about his son’s book." Alterman’s review accused the younger Blumenthal of producing a "carelessly constructed" argument that is little better than "a propaganda tract" and "could have been published by the Hamas Book-of-the-Month Club (if it existed)." 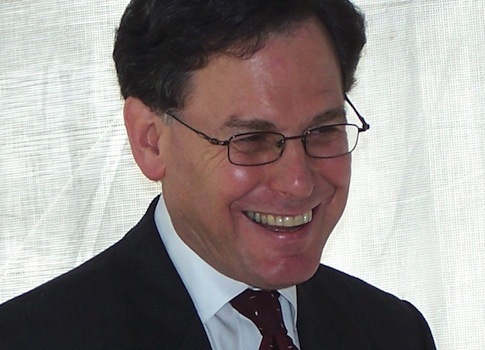 According to Alterman, Sidney Blumenthal has been a friend and Alterman have had friendly relations "for the past 30 years without any open animosity between us." Alterman said he worried that his negative review would provoke an email campaign against him from Blumenthal, which, according to Alterman, is a tactic he "so often" employs "about individuals of whom he disapproves." "Sadly, that’s just what happened." Alterman said in his column. Sidney Blumenthal was a senior adviser to Hillary Clinton’s 2008 presidential campaign. According to a 2009 New York Times report, Clinton sought to bring Blumenthal with her to the State Department, a move that was nixed by White House chief of staff Rahm Emanuel. The elder Blumenthal declined to comment on the alleged emails when reached by phone by the Washington Free Beacon. "I don't have anything to say to you," he said. "Thank you very much for calling." Alterman declined to give additional details on the contents of the alleged emails, telling the Free Beacon that "private emails deserve to stay private." He said he only mentioned them in his column because "it was necessary to answer one of Max Blumenthal's myriad charges." Hillary Clinton is expected to run for president in 2016. Recent polls show her leading the Democratic primary field by a wide margin. Update, 5:20 PM Tuesday Oct. 29: Alterman emailed to note that he and Sidney Blumenthal are not friends but that they have friendly relations. Writes Alterman: "I never called Sid a ‘friend.' I said we had ‘friendly relations.' That's different. I chose my words carefully." This entry was posted in Issues and tagged Bill Clinton, Hillary Clinton, Israel. Bookmark the permalink.